"Read why we are different..."
SafariFRANK > About us > Why book with us? We get you right off the beaten track. So far off, you’ll forget there was a track in the first place. We get you up close and personal to the extraordinary African wildlife. And as far away as possible from the packs of tourists. We don’t live tourism, we live Africa. We participate, not merely observe. We don’t watch wildlife, we respect it. And we’re frank about exposing the truth to conserve Africa. Sharing wisdom from the locals and the land. We do more than photo opportunities. We do life. Living moments you never knew were possible. But will touch your soul forever. 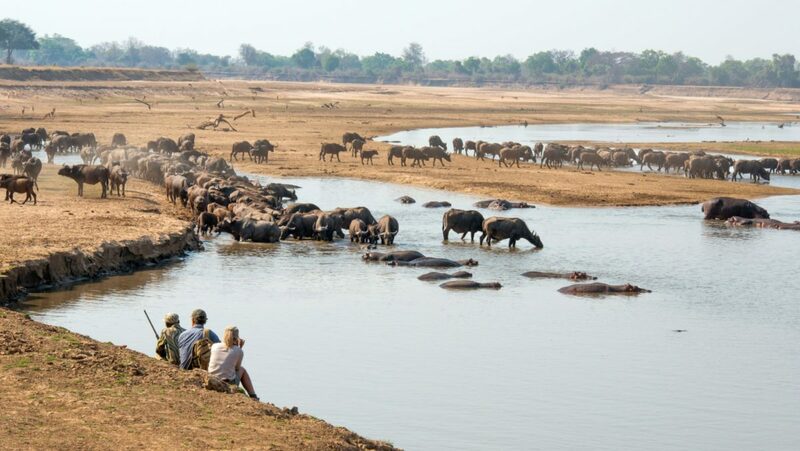 safariFRANK offer fully escorted or privately guided Safaris. We develop Safaris for small groups, families and independent travellers. We also create Safari experiences for adventurous corporates and great bosses interested in expeditions for staff motivational programs and team development. We only show you the Africa we know intimately. Places we’ve personally visited and can swear by. We focus on Southern Africa’s pristine wilderness areas in Botswana, Zambia, Zimbabwe, Namibia and South Africa. We’ll get you so far off the beaten track and away from packs of tourists, that you’ll forget there was a track to begin with. 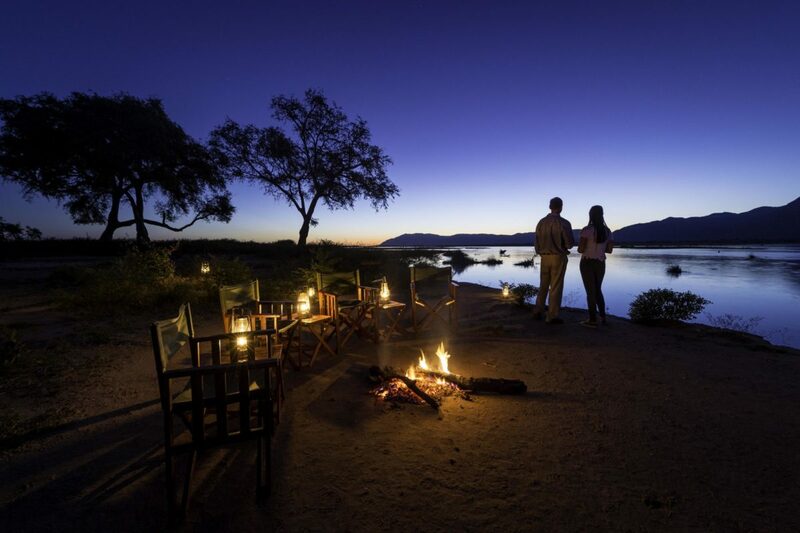 We carefully select pockets of the unique, African wilderness to share with just a special few. Don’t go on our Safari. Go on yours. safariFRANK’s focus is primarily on tailor made expeditions. Meet us in person, either face to face or via Skype, to discuss the unique requirements of your Safari. We provide insight and expertise into all kinds of Safari options and then handcraft itineraries for you, leaving nothing to chance. During your tour we’re with you all the way with the best of local guides. Or if you choose to go it alone, we’re ‘on call’ your whole journey, acting as your ultimate Safari backup team. Get dirt under your nails and go wild. For adventurers with the conviction that $$’s are better spent on adventure over 5 star hotel rooms. It’s an exhilarating experience to be up close and personal with Africa’s wildlife when you’re involved in outdoor activities in pristine wilderness areas. Guided activities include: walking, horse riding, mobile/fly-in, kayaking, cycling or fishing expeditions. Or for the truly independent traveller, we’ll show you how to do it yourself and self-drive. If you’re an experienced African traveller, you’re possibly looking to push the boundaries. Explore new frontiers in remote locations, birding, photographic, specie specific observation or expeditions purely based around conservation. We team up with the best skilled guides for these specialised expeditions and use our state-of-the-art FrankMobil vehicles to get you to into the heart of the action. See our Blog for details. The difference between a good and frick’n amazing African experience is who you choose to travel with. We live this universal truth and work only with Guides who are ‘local legends’. We will always recommend spending whatever you can on local guides. These ‘stars of the bush’ will bring so much more to your Safari adventure and will live longer in your memory than an extra thread count on your bed sheets ever will. Our team travel Africa all the time, for a long time. For us, understanding Africa is an ongoing education. We travel because we love it and so we can find new experiences to AWE travellers each season. We travel to find new wilderness frontiers and to build relationships with the best of the best local safari operators. See our Blog for current travels. We partner with the best local safari operators who we visit, vet and select to work with us based on shared values. Much like us, they are mostly smaller, boutique operations that have often been guiding for generations. We foster endearing relationships built on trust. Planning Safaris can be information overload. But based on your needs, our Team led by Johan personally craft each itinerary using their unique skills and insight gained from years of embracing the ‘continued safari philosophy’. safariFRANK knows the key destinations where we can best share extraordinary experiences with you. We are firm supporters of the conservation of Africa’s native animals and wilderness through education and training. We are actively involved in making a difference where it matters, our travels and adventures are inspired by this. See more on our rhino conservation project here. want to talk further about your ideal safari?